October is National Breast Cancer Awareness month. This event started in 1985. Over these 32 years, much has been learned – and taught – about breast health. Breast cancer centers have been established. Survival rates have improved. And support groups are widely available. Even so, the work is not over. Today, 1 out of 8 women are expected to be diagnosed with breast cancer in her lifetime. And even though it is rare in males, 2450 men will be diagnosed this year in the US. It is important to understand your risk of developing breast cancer. Some risks cannot be changed. You cannot stop growing older, rewrite your family history or your re-engineer your genetics. However, experts agree there are things you can do to reduce your risk. If you are not sure what this means for you, learn more, here. If you are ready to reduce your risk, start by taking a look at your day to day choices. Are you getting enough exercise? Are you making healthy choices about food and alcohol? Are you still smoking? Are you at a healthy weight? These changes are challenging for people to make on their own. Many do not know what to do or are worried they will hurt themselves. DHAC’s exercise physiology staff understands this. Every day they help members safely meet their health and fitness goals. Learn how they can help you, here. P.S. Don’t forget, our annual Party in Pink Zumbathon is October 22nd. This event benefits Susan G. Komen in support of The Zumba Global Research Grant for Breast Cancer Prevention! Open to all members and guests ages 14 and up. You can sign-up at DHAC’s front desk. We hope to see you there! 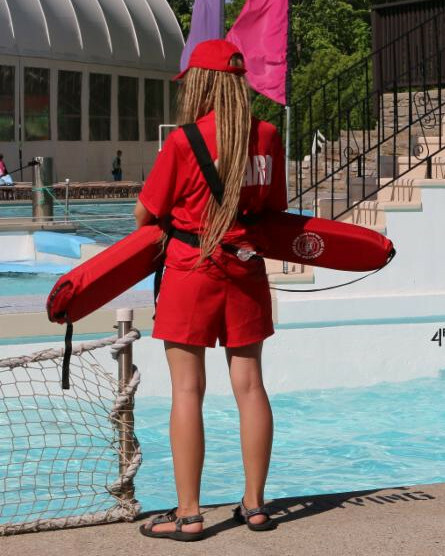 Click to learn about our American Red Cross Lifeguard Training Course. As October comes to a close and Breast Cancer Awareness Month comes to an end I want to take a minute to reflect on the Party in Pink fundraiser that we hosted this past weekend to benefit the Susan G. Komen® organization. This was my first time organizing this event and it was extremely important to me to bring the same level of dedication to organizing it as Tiffany brings to teaching and as all those who participate. This year’s party was such a HUGE success and everyone had a blast dancing their hearts out. Everyone was decked out in their best and CRAZIEST pink outfits, shaking their hips and flipping their bright pink wigs around! It was so amazing to see such a large group of lovely people come together with enthusiasm, love and support, all to donate to a cause that has affected so many lives. Pretty much each one of us has, or knows someone who has a loved one who is fighting or has lost the battle against breast cancer. It could be our mothers, our sisters, our daughters, our friend, our friend’s friend, etc. This is why events like the Party in Pink are so important. Events like this bring us all together, as friends, families and acquaintances, all working to eradicate and bring awareness to this disease. It was an absolute honor for our facility to host this event again, and together we raised over $1,500 dollars to donate to the Susan G Komen foundation. While a few people walked away with raffle prizes of their own, I think everyone left feeling fulfilled by both their workout and their donation to the cause. We can’t wait til next year to do it all again! Check out more photos from the Party in Pink on our Facebook and Instagram! Back to school, back to the gym! We are so excited to get started on a fun and fit fall with your family. Stop by Downtown and/or the Youth Center to pick up a kids class schedule. See how our young members can stay DHACTIVE! Check out our NEW classes, clubs and fitness for kids. Try out a new class yourself! Keep your workout exciting… there are a lot of NEW classes to get you going! Aqua Zumba, yay! TRX is a parent favorite too! Just because fall is here, doesn’t mean swimming isn’t! Spend some family time at DHAC and enjoy a family swim. Did you know that during pool hours, our family pool is always available to members. 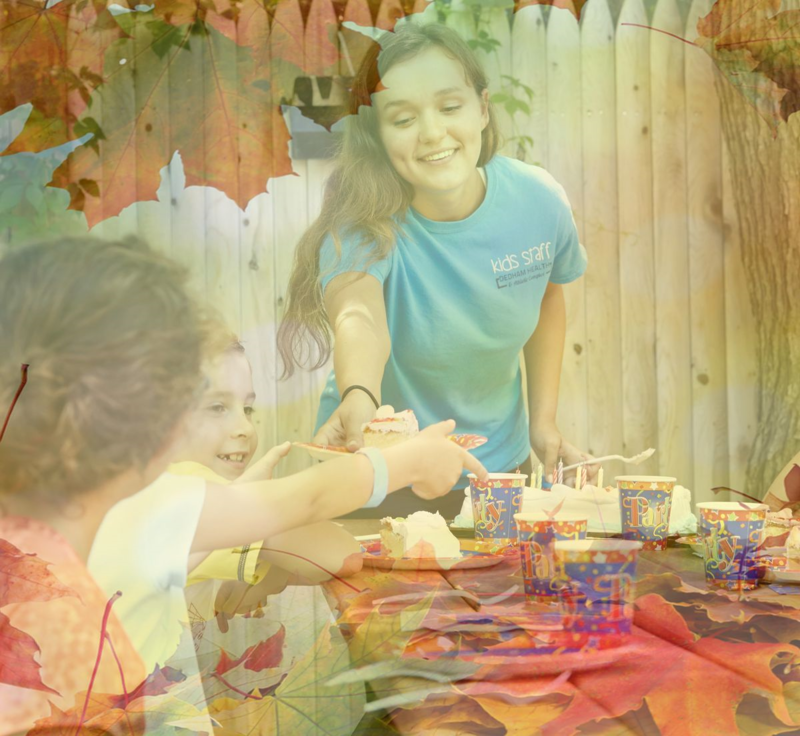 Look for our NEW monthly special events for kids and families! Free for members and designed to build our community through social events… and who doesn’t love a good party? One down….Two to Go! Spartan Tri-Fecta! One down. Two to go. I ran the first leg of the Spartan Race Trifecta this past July – the Connecticut Spartan Sprint. If you read my previous blog, then you may remember that the Spartan Sprint is the 3+ mile race with 16+ obstacles, and yes, a 30-burpee penalty for failing to complete individual obstacles. The Sprint is the shortest of the Trifecta races, so it was a great way to open the race season. This was the first time the Spartan Sprint has ever been run in Connecticut, so it was a brand new course, and I really didn’t know what to expect. The race was hosted at Mohegan Sun casino. It turned out to be an approximately 4.5 mile course with something like 20 different obstacles. The course ran pretty flat with some small, steep climbs and took racers onto pavement and off road trails alike. There were beautiful views overlooking the Thames River and the day had plenty of sunshine. My race started at 12 o clock. Temps were in the low 80s. The course was challenging. It was a longer distance than I expected and the test of aerobic endurance was interspersed with obstacles that required short outputs of strength and power, balance, skill, etc. There was a 65 lbs sandbag to carry up and down a steep hill. There were 300+ lbs tires to flip. There was a 100+ lbs Atlas Stone to lift and carry back and forth between sets of burpees. There were ropes, inverted walls, rocks, bales of hay, and cargo nets to climb. There was barbed wire and nets to crawl under. There was a fire pit to jump over. There was a 50 foot plank-to-plank walk over the highway (don’t look down!). There was a greased ramp to cautiously hike up… and these were the obstacles that were “EASY” for me. However, there were three specific obstacles that really stood out. One was the traverse wall… think rock climbing sideways with very small hand and foot grips… I had failed this obstacle in previous Spartan races by making the wrong step or grabbing the wrong hold. This time I nailed it (thank goodness) – so no burpees. The second standout obstacle was the herculean hoist… this is a Spartan Race standard – basically you’re hoisting a weight by pulling on a rope attached to a pulley. I’ve done this in the past with no real struggle… but this race was different. Instead of the typical 85 lbs bucket of gravel to hoist, there was a mysterious bag. The attendants did not tell us how much the bags weighed, but I put my entire body weight (175 lbs) onto the other end of that rope, and that mystery bag didn’t budge. I had to prop my foot against a nearby barrier fence and pull with every ounce of my strength to get that bag to hoist the requisite 50 feet or so into the air. Holy crap, it was hard. A bunch of other racers got left behind doing their 30 burpees for failing to complete this obstacle… and I mean a BUNCH. Some ropes had two people pulling simultaneously to lift the bag… and what’s worse, this obstacle was towards the end of the course when people were already exhausted – a typical Spartan tactic. The third standout obstacle to me was the Spear Throw. Also notoriously known as the “burpee maker”, the Spear Throw is a 1-and-done attempt to throw a spear and stick it into a big bale of hay (the hay is cleverly crafted to look like a big, ugly, Spartan monster). There was an attendant mocking racers upon approach saying “Get your burpees here!”… sadistic but kind of funny… because MOST racers do fail this obstacle – almost ALL racers actually. I have never successfully speared the big, ugly, Spartan hay monster… And that tradition carries on. I missed it again. Didn’t even come close actually. 30 burpees… and of course, Spartan put that obstacle at the half way point, directly in the sun, and covered the ground with sand, so every racer was doing their burpees face down in the hot sand. Very cruel. Overrall, though, I was very happy with my performance. It was a tough course, and I was pleased that I only missed the one obstacle (although I am determined to stick that spear throw at least ONCE before I die). I finished in 1:13:05 which was good enough for 76th overall in my age bracket out of approximately 550-600 racers. I went pretty conservative on my running pace. It was the first race of the season, so I really wanted to focus on my obstacle technique. My next race is another Spartan Sprint in Amesbury in August. I’m really just using that one as prep for the Super and Beast to complete the Trifecta, so I plan to push my speed up a few notches. Otherwise, this race was a great open to the season!